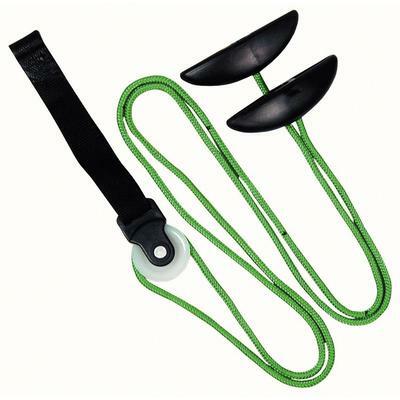 This easy to use shoulder pulley rope set can be mounted in a doorway or other overhead mounting. It is a low cost, simple to use device that helps increase range of motion, assists stretching of the upper body and can be used for the prevention and rehabilitation of shoulder injuries. It is suitable for home or clinic use. Includes pulley, handles, nylon cord, door anchor and illustrated instructions.